Aren’t these some great photos below? 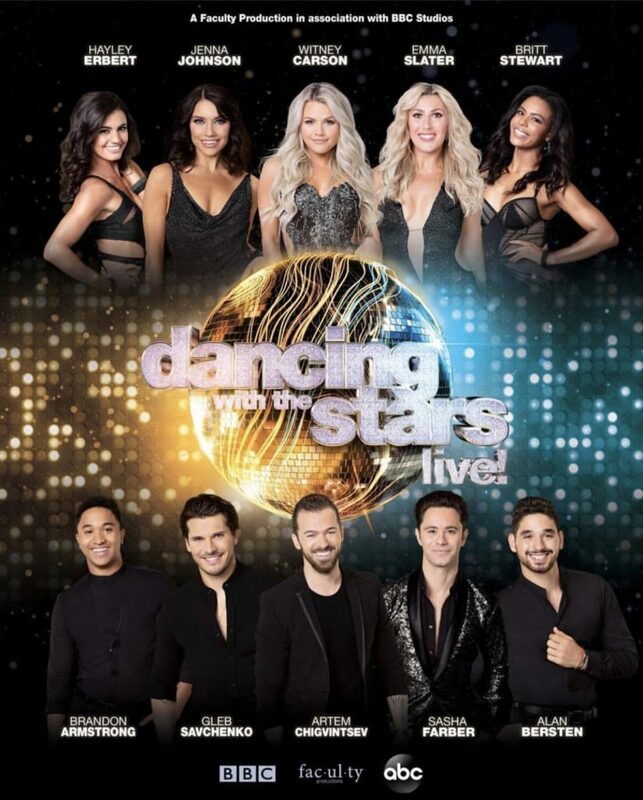 Last night, Sasha Farber, Kym Johnson And Robert Herjavec saw the Dancing With The Stars Live Tour in San Diego! And, of course, Sasha couldn’t resist pulling some tour pranks while he was visiting. Funny video below too. Also, Andrea sent us some videos of the show. If you’d like to see them, go to Jack M You Tube and Emily’s You Tube. Below is another fun periscope with Dancing With The Stars Brittany Cherry. This time she hangs out with the guys of the tour. So cute. I heart Alek Skarlatos. Thanks to @Idoxfactor1 for recording. Check out the pros of Dancing With The Stars Live and the interaction they have with this little girl. This is just too cute for words. Thanks to Andrea for sending.